Another 31 days, another 4 weeks, another month down. Can you BELIEVE it is September?!? Anyway August has been both a good and a busy one and September looks to be even crazier! I'm moving out of my house for the first time.. TODAY and I'm off to Bestival on Thursday - it is all go go go! 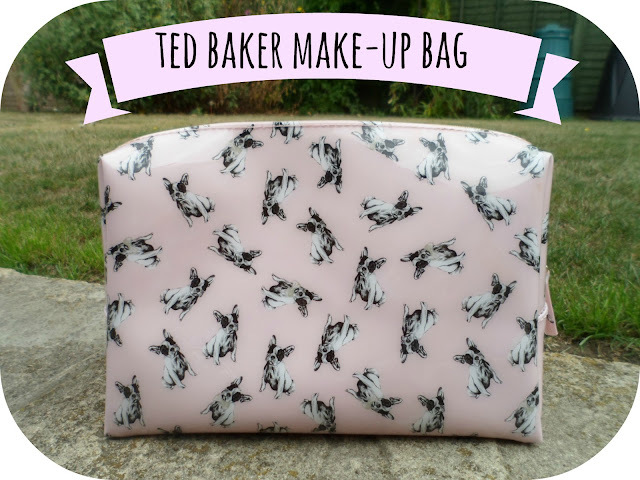 Yes, this is the "wash bag" from Ted Baker,but looking at the size of the Make-up bags from them though I knew they would not be big enough for the likes of my daily face so I thought I'd get the washbag where I knew everything would fit! I bought this from ASOS and it was £25. I love French Bulldogs. Like, alot. If I see one it makes me want to cry and my number 1 aim in life is to be a French Bulldog owner (I even have names picked out already..... am I sad?) but anyway.... this pattern is perfect for me! So so cute! Now... if you have been reading my blog for a while you know that in last month's favourites I raved about Soap & Glory's Sugar Crush Body Buttercream. The smell is just so incredible (if you want a description head over to that post) and at the end of that post I said "I cannot wait to get the body wash aswell!" ... Well guess what came back into stock! And with it being 3 for 2 I grabbed 3 while I could! They are £6.50 each, which in fairness for a bodywash is a little expensive but the smell is just amazing and they are so creamy and moisturising I can't imagine using anything else now! 10/10! I love Taylor Swift, you should know this by now, and I own all of her perfumes. (I am not ashamed, I have an obsession with country music and I think she is so talented.) Her first perfume Wonderstruck I actually bought when I was travelling in the US as it wasn't out in the UK yet and is probably my favourite perfume of all time - big statement there. So when she bought out another new perfume a few months ago - Taylor by Taylor Swift - I knew I had to have it! But with me trying to be sensible with money I have been putting off splashing out for it but this month I just thought why not? My local Superdrug only had a 30ml so that's what I settled for and it was only £22, barry bargain! I love love love this scent, alot more than the second perfume, "Wonderstruck Enchanted" as it is alot sweeter and I actually really recognise the scent but can't work out what it smells like! Nice work T-Swizzle! 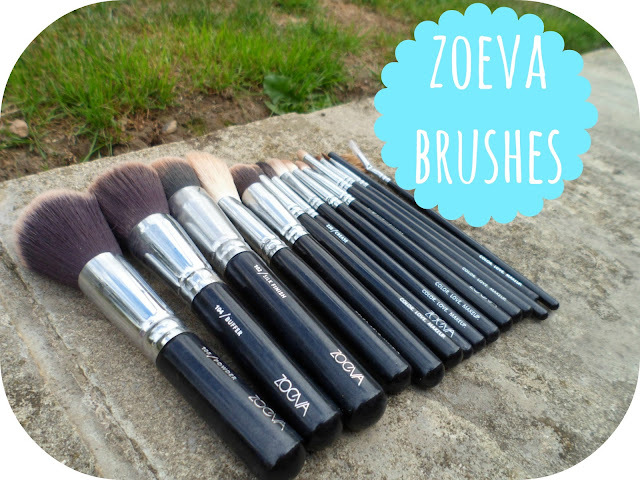 My Zoeva brushes HAVE to be in my favourites for this month. I did a whole post on them so I won't bore you again with everything but you can read that here if you want to find out more! But they are just such good quality and I have been using them non-stop! Fabulous brushes! 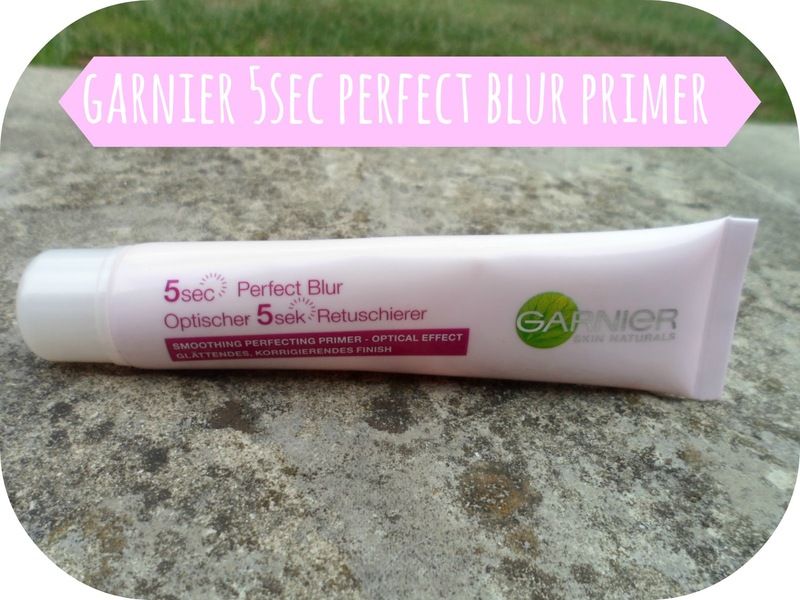 I know I am a big slow with the up-take on this one but I am loving the Garnier 5 sec Perfect Blur Smoothing Perfecting Primer. Yes this has been out for a good while now and I have been meaning to pick it up for months but for some reason every time I always thought "I'll get it next time" But when it was down to about £8.65 or something on promotion I snapped it up and I am so glad I did! This stuff is awesome, primers are something I switch up all the time and this one is brilliant! It leaves your skin so silky smooth and perfect for make-up application - I have used so much of this that I'll probably be buying a replacement real soon! I'm just going to have to add Pretty Little Liars to my favourites this month. THAT finale was just amazing! I'm still sat here thinking about it! I have read a couple of the books and have been a loyal watcher/fan since the show started and I recommend it to everyone and anyone! Obviously I'm not going to write any spoilers but if you watched it too and are upto date you know EXACTLY what I'm talking about! Bring on October 22nd and the Halloween episode! What have been your favourites this month?! Love the Ted Baker wash bag :) and ha ha no it's not sad that's you picked out the names already . I love dogs too!! I think it's great you've picked out names for your French Bulldog already, I'd call my Charlie (I've picked names too) with two pugs, Trevor and Nigel! The wash bag is super cute! Love that make-up bag! I used to be obsessed with PLL but I have lost my way a little bit, I need to go back and see where I left off to catch up! Firstly that makeup bag (wash bag haha) is adorable!! Also you said your a little late on that primer but I hadn't even heard of it yet..! Lol. I will have to try it out I'm alwayssss on the hunt for the next best drugstore primer! I really want to try the Zoeva brushes! I've heard so many great things about them. I love the make up bag it's so pretty!